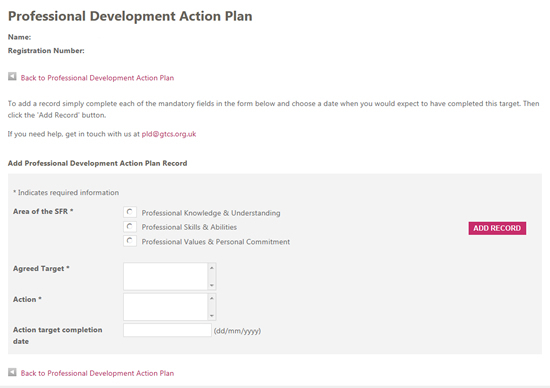 Your PDAP allows you to record targets and actions agreed with your supporter and to evidence your progress towards meeting the Standard for Full Registration. This is a self-evaluation tool designed to help you track your own progress. To add a new record, simply complete each of the mandatory fields in the form and choose a date that reflects when you should expect to have completed this target, then click on the 'add record' button.